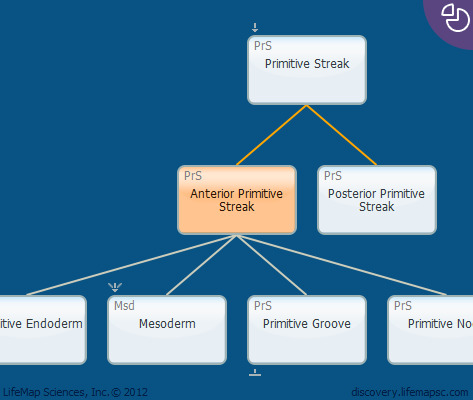 Anterior primitive streak derivatives include the axial and paraxial mesoderm and the definitive endoderm. Fate mapping of the cells that migrate through the primitive streak shows that cells of the axial mesoderm and the anterior definitive endoderm of the embryonic gut ingress through the anterior-most region, while the paraxial mesoderm emerges in the anterior-third region. In mouse, starts to develop at TS 9. Formation of the anterior primitive streak derivatives requires a high intensity of nodal signals, with a graded response to nodal signalling guiding the allocation of different mesodermal derivatives The formation of middle-primitive-streak derivatives is subject to the combined action of TGFB, FGF and WNT signalling.